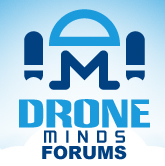 Discussion in 'General Drone Forums' started by photojunky, Jan 6, 2018. It could have been worse but the quad crashed on its landing gear. photojunky I saw arduino uno here did you program it using arduino programming?